The women’s volleyball team emerged with consecutive victories in their weekend series against Memorial. However, it was a tale of two starkly different matches. 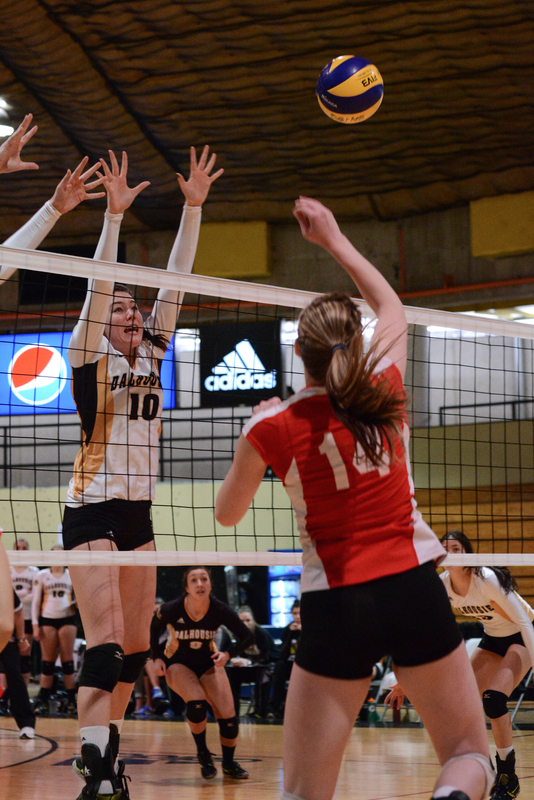 The Tigers opened the weekend series Saturday evening in a manner befitting the defending Atlantic University Sport (AUS) champions, handling the Sea-Hawks in a straight sets victory. It was another commanding win, with 10 kills from Anna Dunn and nine digs from Marisa Mota, while Katherine Ryan added seven kills and eight digs. Memorial regrouped Sunday, putting the pressure on the Tigers early in the first set. “They were hungrier, they played better,” said Scott. After separate runs of five and six consecutive points, the Sea-Hawks kept the Tigers at arm’s length to win the set 25-17. “We came out a little slow, but definitely worked hard and came back,” said setter Brett Hastings, who came off the bench and played for long stretches throughout the match. Unforced errors and dropped balls nearly spelled further defeat for the Tigers. A strong offensive start in the second set held off a late Memorial comeback to win the second set 25-18. “[You have] to credit our girls for being resilient, finding a way to win it,” said Scott, whose team currently sits in first place, just ahead of rival Saint Mary’s. From his usual stance on the sideline, Scott appeared to be a “seventh man” as Dal rallied in the third set from being down 6-15 to eventually bring it within two points. “We’re in a battle,” exhorted Scott from the huddle during a timeout. The match reached a critical juncture when the flag judge called a potentially game changing point in for Memorial, but was overruled by the chair official, giving the point to Dal, who went on to win 26-24. The Tigers’ resiliency was on further display against a strong Memorial side in the fourth set, with the two teams trading points from the technical timeout onward. 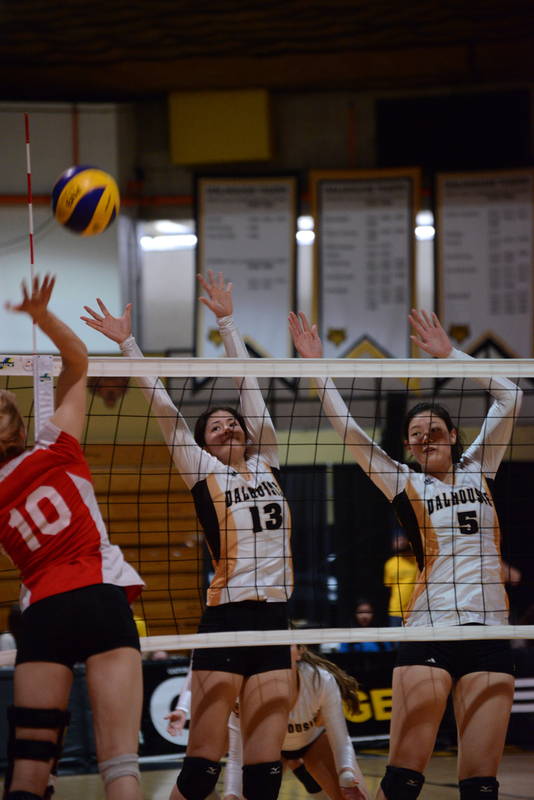 In the end, Dal outlasted the Sea-Hawks 25-23 to win the match. “Our serve receive definitely stepped up and our defense fought through,” said the second year Hastings, who was awarded player of the game. Despite the team’s shortcomings, matches like Sunday’s serve a purpose for Scott. ← Enrolment is down at most other universities—how about Dal?